Men's Norris Field Side Adjustable Neoprene Lined Wellington Boots is rated 4.5 out of 5 by 52. 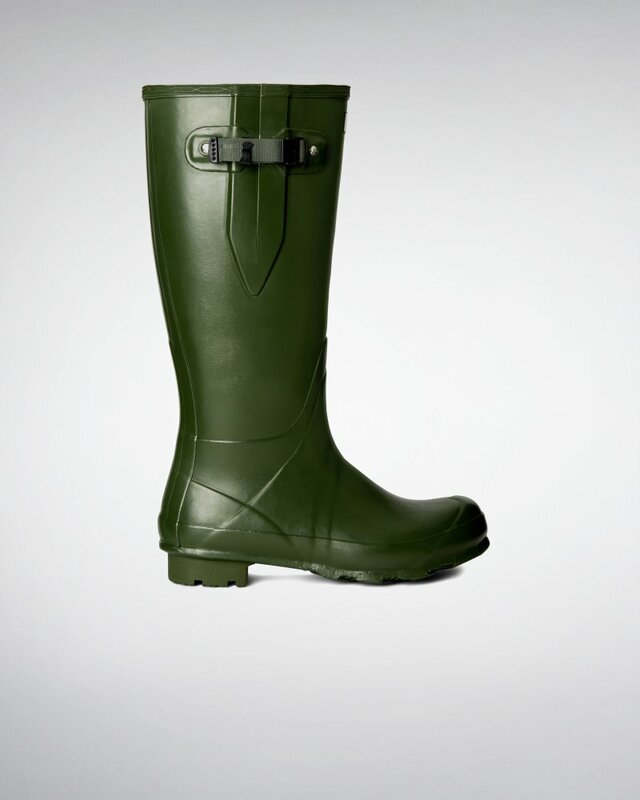 Wind and waterproof, the men's Norris Field Neoprene Lined Wellington Boots offer enhanced resistance against cold weather. Forming an insulating barrier, the this 3mm neoprene- lining safeguards against windy conditions and keeps your foot snug. Built to last, the design is handcrafted from a soft rubber compound that maintains strength, while being flexible to allow ease of movement. A weatherproof buckle with a webbing strap, a robust heel and high-traction zigzag tread, make these boots ideal for outdoor adventures.